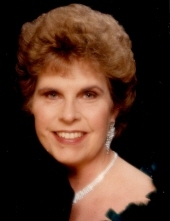 Ann Herbert, 76, of Fostoria, passed away on Saturday March 30, 2019 at her residence. She was born on July 9, 1942 in Toledo to Richard and Marie (Keil) Driftmeyer. Ann attended the Perrysburg High School class of 1961. She married her high school sweetheart Terry Herbert and together they had two sons, Scott (Jennifer) Herbert, Gibsonburg and Brian (Kristine) Herbert, Fostoria; and a grandson, Brendan of Fostoria. They survive her along with her husband. She was preceded in death by her parents and sister, Donna. It was Ann’s wishes that there will be no services. Memorials are suggested to the Bridge Hospice Care Center, Findlay. To send flowers or a remembrance gift to the family of Ann Herbert, please visit our Tribute Store. "Email Address" would like to share the life celebration of Ann Herbert. Click on the "link" to go to share a favorite memory or leave a condolence message for the family.